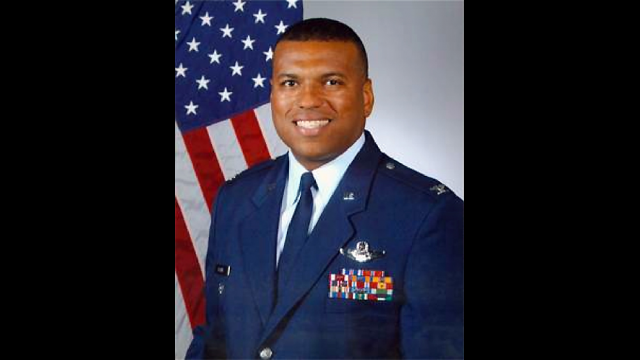 Col. Richard M. Clark, commander of the 12th Flying Training Wing at Randolph Air Force Base in San Antonio. 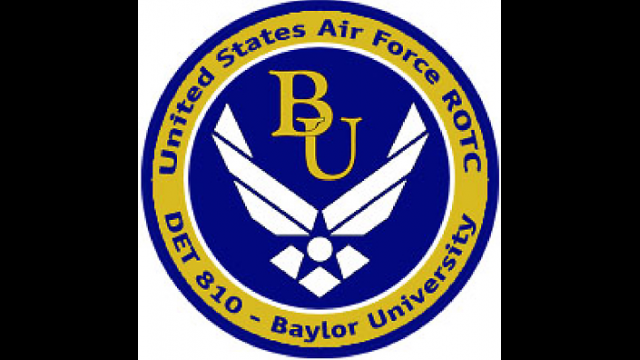 As the United States Air Force commemorates its 60th anniversary, Baylor University's Air Force Reserve Officer Training Corps (ROTC) Detachment 810 will celebrate that proud tradition and its own milestone on Saturday, as the program commissions its largest class of second lieutenants in 48 years. The commissioning ceremony will be held at 6 p.m. Saturday, May 12, in Barfield Drawing Room in the Bill Daniel Student Center. After walking across the stage at Baylor's commencement exercises and reciting the Oath of Office at the commissioning ceremony, 23 students will make the transition from Baylor student and ROTC cadet to U.S. Air Force officer, bringing Baylor's total class to 31 in 2007. Five students were commissioned earlier this year, with three more to be commissioned this summer. Following the ceremony, the newly commissioned officers from Baylor's AFROTC program will head out into the "wild blue yonder" throughout the United States and abroad, where they will join the long blue line of Baylor graduates serving the country. "This is a banner year for us with the most commissioning second lieutenants at Baylor since 1957," said Col. Danny L. Leonard, commander of Baylor's AFROTC Detachment 810 and chair of the department of aerospace studies. "These officers carry a piece of us with them as they go forth. They will practice servant leadership grounded in the values and principles of Baylor University. Baylor AFROTC is an important source of morally sound leaders for the U.S. Air Force." The Baylor AFROTC program began in 1948, with the inaugural class of second lieutenants commissioned in 1950. Leonard said the program has about 120 cadets, with the number of officers produced yearly by Baylor's program averaging 21. This year's total of 31 officers places the university eighth in the nation among 144 detachments for production. For these students, accepting an officer's commission is the final step in their four-year training regimen and the beginning of a promising new career. During AFROTC training, cadets are required to attend physical fitness sessions, weekly leadership seminars and Air Force leadership classes in order to prepare them for active duty. In addition, cadets must pass a four-to-six week field training encampment, which is the boot camp equivalent for officer candidates. "I think I am well prepared to start my career as a second lieutenant," said Cadet Jeffrey P. Johnson of Bay City, who on Saturday will earn his bachelor of science degree in mechanical engineering from Baylor. He will begin pilot training at Laughlin AFB in Del Rio. "My experience in AFROTC has provided me education about leadership, teamwork and core values that will serve me well in my career." For many cadets, the rigorous training has pushed them to expand their notions of what is possible. "Field Training taught me that I could do so much more with my time than I ever thought was possible," said Cadet Kimber L. Ray of Wylie, who will graduate on Saturday with her bachelor of arts degree in communications. She will be a Communications Officer at Barksdale AFB in Bossier City, La. "When you wake up at 4:30 in the morning and accomplish all that you do during the day at Field Training, all while being put under stress, it puts things into perspective." Baylor's AFROTC graduates will represent Baylor in a variety of Air Force careers. Eight students from this class - who represent a 100 percent selection rate of those competing - were chosen for pilot or navigator training through a highly competitive selection process. "Baylor AFROTC is producing Air Force officers who will serve this country across a wide spectrum of duties," Leonard said. "Some will be specialists as pilots, nurses and engineers. First and foremost, all will be officers, leaders and influencers. They represent the future of the world's greatest Air Force." Among those participating in the commissioning ceremony will be the cadets' family members, who will take part in the traditional pinning ceremony; Baylor President John M. Lilley, who will welcome guests; and Col. Richard M. Clark, commander of the 12th Flying Training Wing at Randolph Air Force Base in San Antonio, who will give the keynote address. The 12th Flying Training Wing conducts Pilot Instructor Training in the T-1, T-6A, T-37 and T-38 aircraft, and conducts international, U.S. Air Force and U.S. Navy combat systems officer training in the T-43 and T-1 aircraft. The wing operates the U.S. Air Force Electronic Warfare Training School, which provides undergraduate, introductory and advanced electronic warfare training to international and Department of Defense students. It also operates the Air Force's Advanced Instrument School. The wing maintains approximately 145 aircraft and includes an infrastructure worth more than $2 billion for a work force of approximately 12,000 active duty, reservists and civilians. The 12th FTW also hosts Headquarters Air Education and Training Command, 19th Air Force, Air Force Personnel Center, Air Force Recruiting Service and 18 other tenant units, while supporting an estimated 29,000 retirees. Clark was born in Frankfurt, Germany, and grew up in Oakland, Calif., and Richmond, Va. He graduated from the United States Air Force Academy in 1986. Prior to his current assignment, Clark was a student at the National War College in Washington, D.C. He is a command pilot with 4,000 hours of flying time primarily in the B-1 Bomber. For more information, contact Col. Danny L. Leonard at (254) 710-3513.